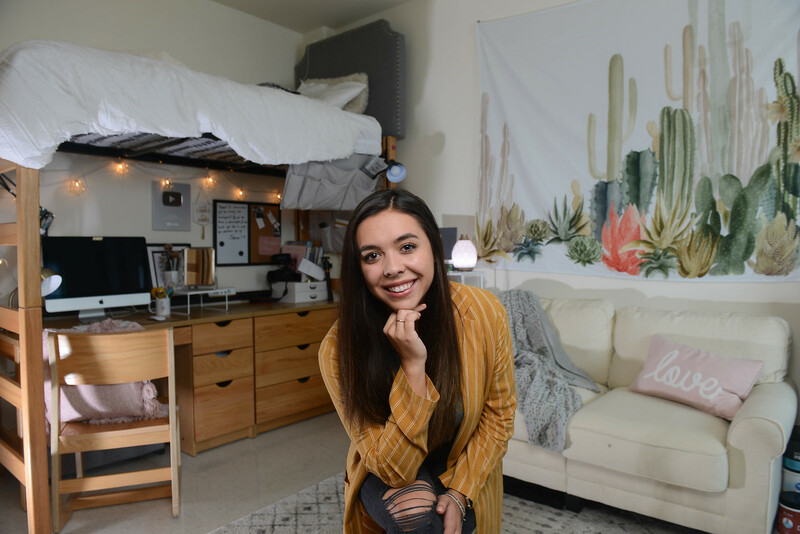 While most freshmen in college are trying to navigate challenging academics, expand social circles and embrace new-found independence, Knoxville-native Hannah Rodriguez is juggling all of that while also running her own company. The freshman entrepreneurship major is the creator of Hannah Ashton Content, a source for online mentoring and social media growth consultation. She kept filming, editing and posting videos into her teen years and throughout high school, transitioning her content as she matured, adding makeup and beauty tips and now focusing more broadly on healthy lifestyles and female empowerment. Her YouTube channel currently consists of more than 150,000 subscribers with each video she posts receiving thousands–and sometimes hundreds of thousands–of views. The event, which was held just two weeks before she moved to Belmont’s campus, brought together approximately 45 attendees ranging in age from 12 to 70, all of whom were interested in learning the secrets to the success achieved by Hannah and two other female speakers. Rodriguez notes that she was happy to share what she’s learned to date.